Inhabitants in Berlin, Tel Aviv and New York were invited to write letters to dance. The letters were not only be published in a single volume but were also used as material for three participatory choreographies created by deufert&plischke. For the second time in the TANZFONDS ERBE initiative, Reinhild Hoffmann was passing on one of her choreographies to a new generation of dancers. This time, Staatstheater Braunschweig was restaging her 1991 piece Zeche Eins. Mary Wigman’s Hexentanz was the starting point for ten commissioned choreographies reinterpreting the work from various perspectives. 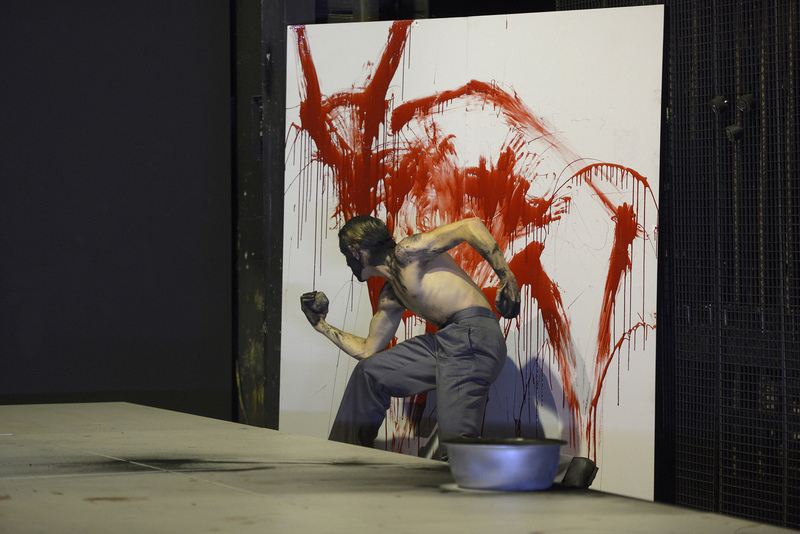 The exceptional dancer Harald Kreutzberg was the inspiration for DanceLab Berlin’s contemporary dance piece as well as for an investigation of Germany’s modern-dance tradition. Theater Nordhausen’s project was dedicated to the Jewish dancer and dance teacher Rosa Glaser who danced for her life in Auschwitz. The ballet company at Saarländisches Staatstheater is reconstructing Gerhard Bohner’s 1971 work The Tortures of Beatrice Cenci, described by the FAZ newspaper as “Germany’s most successful post-war ballet”. Theater Freiburg was creating research space at the Museum for New Art where artists and members of the public were investigating the future of cultural heritage. Städtische Bühnen Osnabrück reconstructed Mary Wigman’s Totentänze I and II, and used exhibitions, installations and symposia to look at the death-dance theme. Berlin dancer Nils Freyer was learning the final work by one of the pioneers of German Expressionist Dance.